While some of us occasionally struggle to “navigate the terrain,” sand wasps never get lost. In a recent study scientists have reconstructed what it is exactly the insects see and how they manage to “memorize” their routes. Researchers at the Australian National University in Canberra managed to record wasps’ flight and the direction of their gaze using high-speed stereo cameras and reconstruct what the insects see, using 3D models and a panoramic imager. The results of their study were published in Cell Press journal Current Biology on February 11. 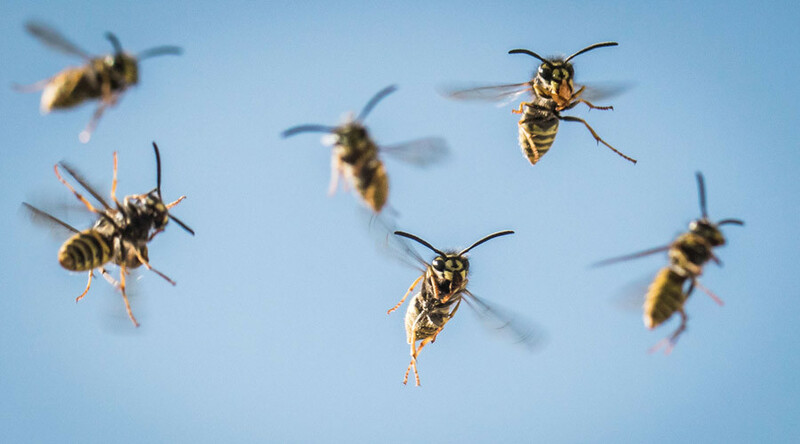 Jochen Zeil, co-author of the report, and his colleagues learned that wasps not only fly backward but also move in a zigzag pattern of arcs around the nest. Before gaining height and distance, their attention is always focused on their nest. “They look back at the nest from the viewpoint of their future return," he said. The researchers had a hypothesis that a wasp would produce a series of views of the nest in its landscape and use them to decide which direction to fly on their way back home. The scientists proved their theory correct by successfully predicting the movements of wasps coming back to their nest. "Our findings tell us how wonderfully autonomous, flexible, and robust wasps are with their ability to know places in the world and shuttle back and forth between them," Zeil said. "I was especially surprised by how long it took us to find the right way of looking at what the wasps were doing," he says. "It took us over 10 years!" They analyzed the orientation flight data of real wasps and found that a virtual one would be able to come back home if programmed with this information. “Wasps move along arcs centered on the nest entrance, whereby rapid changes in gaze assure that the nest is seen at lateral positions in the left or the right visual field,” the scientists said in their report. The research could be useful in the future development of self-navigating robots, the researchers said. “It will be interesting to implement the learning and homing rules we found into flying robots to test the validity and limits of our findings,” Zeil said. “We want to understand what trick the insects are using to acquire the competence of homing,” he added.